Has it been awhile since your last dental check up? Are you avoiding going because you think you may have problems? Don’t delay any longer! Regular dental check-ups are essential, not only to maintain your dental health, but to catch any problems early. 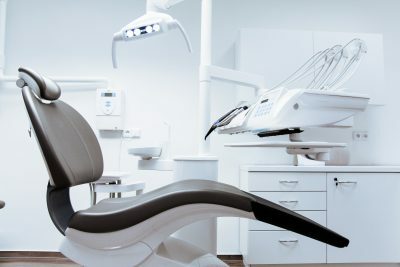 Read on to see just how important regular dental check-ups are, and why the American Dental Association recommends you follow your dentist’s advice on how often you should see them—generally once to twice a year. The cleaning that you get at your dentist’s office gets your teeth really clean, a more detailed clean than you can probably get at home. Your dentist can see into areas of your mouth that you might be accidently missing, and clear away any plaque that has formed on your teeth. Your teeth will feel amazing after a dental cleaning! If you have a cavity, you may have tooth sensitivity to cold or hot foods, or you may have pain. A small cavity can be easily filled, and can stop decay from spreading and causing further damage to your teeth. Cavities can eventually get to the root of the tooth, and can cause infection and tooth loss. Seeing your dentist regularly ensures that cavities are caught when they are small, before more extensive damage occurs. Many people who haven’t seen the dentist in awhile might delay going to a check-up because they suspect a cavity, but this is the time that you should make an appointment immediately! Your dentist will not only look at your teeth, but also at the gum tissue in your mouth. Plaque and tartar buildup can damage your teeth, but are also bad for your gums. Plaque can cause your gums to pull away from your teeth and become more susceptible to infection (known as gingivitis). As gingivitis progresses you can have pain, bleeding, and swelling, and eventually a breakdown in the bones in your mouth. Gum disease can weaken your teeth to the point that they could fall out, and then you will need much more extensive dental work. When caught early, the detrimental effects of gum disease can be more easily treated. Another great reason to have regular dental check-ups is to get x-rays done. X-rays give a deeper look into your mouth, and can uncover problems not visible to the eye such as bone decay, swelling, tumors, or cysts. X-rays can also give you a detailed picture of your wisdom teeth and whether you will need to have them removed. X-rays are extremely useful for tracking your dental history, and can be useful for future dental decisions. Oral cancer is a serious condition that can be treated when detected early. At your dental check-up your dentist will look for signs of oral cancer, like dead tissues or tumors, and can advise you on treatment options if anything is found. Keeping regular dental check-ups is essential for maintaining good oral health, which can affect the health of your whole body. If you haven’t had a dental check-up in a while, it is time to make an appointment! If you are in Wheat Ridge and want a caring, experienced dentist, call Aspen Hill Dental today!